Alpha-H Absolute Eye Complex is a fantastic eye treatment to combat dark circles, shadows, puffiness and hyperpigmentation under the eyes. This refreshing treatment also acts as an eye make-up primer and can even be applied over make-up, during the day, to revitalise the area because it has a light-reflecting, blurring effect on skin irregularities and wrinkles. A solution for all your eye area concerns. This eye cream is a hydrating serum formulated to use over the entire orbital area to combat dark circles, puffiness, hooded eyelids and fine lines. Mild flower acids, derived from Hibiscus Flower Petals, gently resurface and repair the delicate eye tissue, combating hyper pigmentation. The skin lifting Peptides firm and reduce swelling, Hyaluronic Acid replaces lost moisture and plumps, and light reflecting particles add luminosity diverting attention from fine lines and dark shadows. Morning and evening: Apply a pea-sized amount by gently patting around the entire orbital area up to lash level and over the entire eye lid. In addition to acting as an instant eye lift, the Hyaluronic Acid in Absolute Eye Complex plumps out surface cells making this product the perfect primer for eye shadow and under eye concealer. Aqua, Glycerin, Sodium Hyaluronate, Niacinamide, Acrylates/C10-30 Alkyl Acrylate Crosspolymer, Panthenol, Phenoxyethanol, Allantoin, Butylene Glycol, Caprylyl Glycol, Gluconolactone, Fagus Sylvatica Bud Extract, Sodium Hydroxymethylglycinate, Sodium Benzoate, Alcohol, Cucumis Sativus Extract, Disodium Edta, Hibiscus Sabdariffa Flower Extract, Potassium Hydroxide, Benzyl Alcohol, Punica Granatum Extract, Hydroxypropyl Cyclodextrin, Benzoic Acid, Olea Europaea Leaf Extract, Potassium Sorbate, Xanthan Gum, Calcium Gluconate, Acetyl Tetrapeptide-5, Palmitoyl Tripeptide-38. Clear coloured eye gel, which does absolutely nothing. Upon each application, there is a slight stinging sensation. Not recommended for anyone who has sensitive undereye. This cream has received the probe and laid his hopes and on first use it seemed to me not pleasant because of its gel texture. But I decided to give it a chance. It moisturizes and makes the skin smooth and wrinkle free. 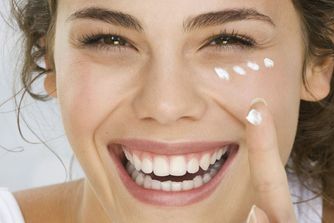 Within two weeks of use it has reduced my crows feet and under-eye circles. Will definitely re-purchase. I'm afraid the dispenser just does not work. The pump only manages to get any product out about one time out of five. So you end up having to take the top off and get it out that way, meaning you end up with far too much. After all that, it would have be an extraordinary product to be worth the bother. And, while it is perfectly nice to use, it feels a little nothing-y, with no noticeable difference to the eye area. I suspect a much cheaper eye-gel product would be much the same. 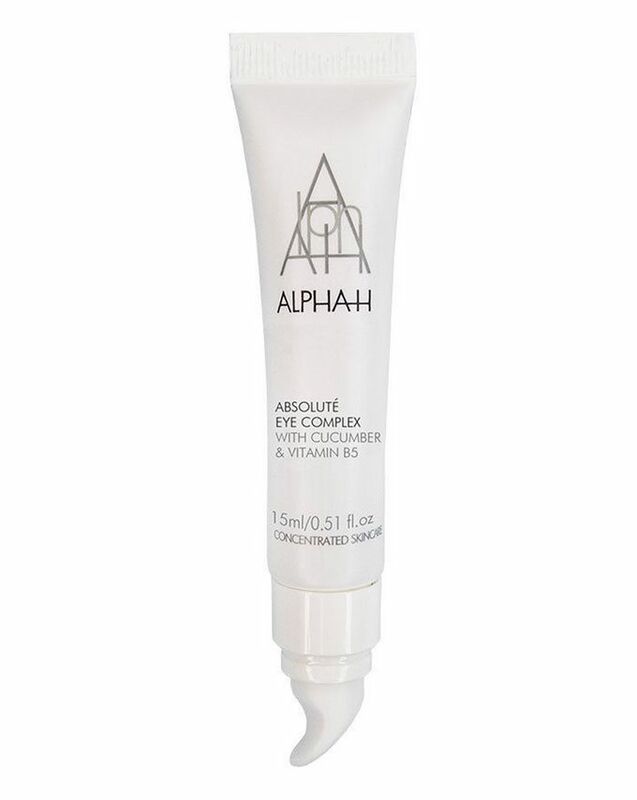 I absolutely love Alpha H's Liquid Gold but this eye gel is useless. It made absolutely no difference to anything around my eyes in terms of lines or dark circles. It was quite cool in feel and easy to apply but difficult to dispense.I will not be purchasing again. I really like this product, it does help with texture, firmness and smoothness around the eye are, however; as other people have mentioned the packaging is annoying, the pump does not work well at all. Overall, I would purchase again. This is a great product and after purchasing for myself I do agree with the reviews, but the pump annoys me greatly. It always seems to dispense a lot more than I need for my under eye area and I keep wasting it. Now I keep thinking if the product inside is worth all the nuisance.